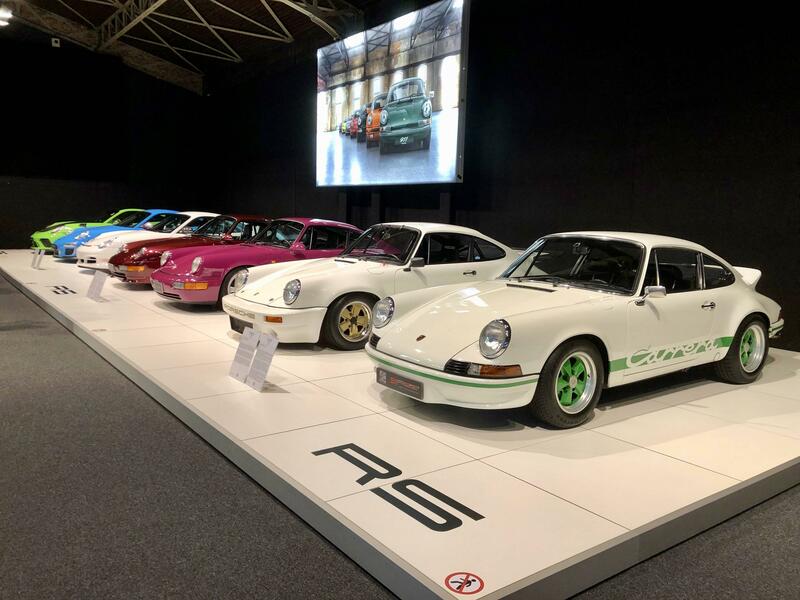 Porsche's 70th anniversary has sparked many wonderful celebrations across the globe, with many Porsche Clubs and internationally renowned motorshows paying hommage. The next in line is Autoworld, the car museum at the heart of Europe, which started a dedicated but temporary exhibition to honour the brand. As with any Porsche exhibition, the 911 shares a massive stake of the limelight, highlighted by a number of truly remarkable cars. 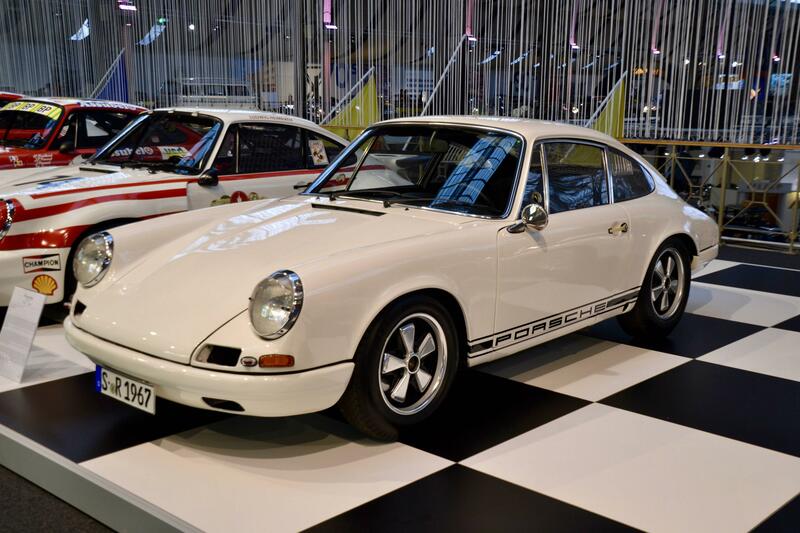 The center of the Porsche exhibition at Autoworld is situated on the museum's mezzanine, but when entering the building a couple of 911s are displayed to immediately grab the visitor's attention. 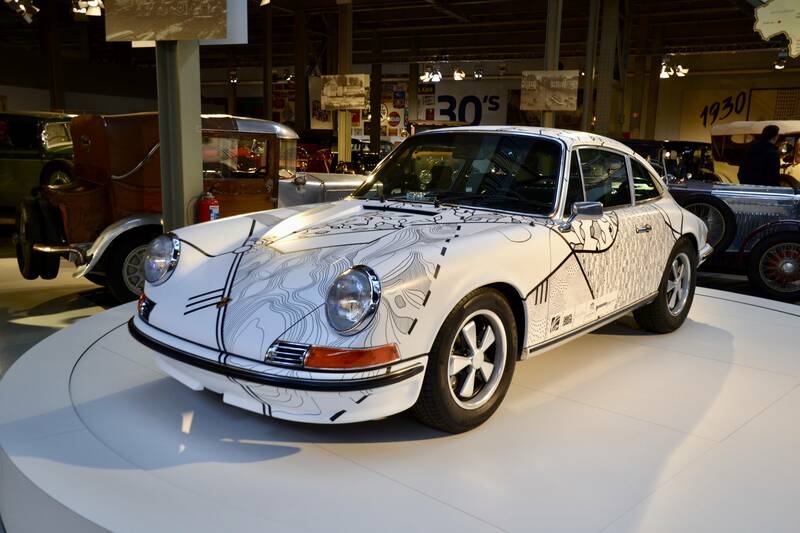 One of the more remarkable cars was this impeccable 911 2.4L T coupé art car. 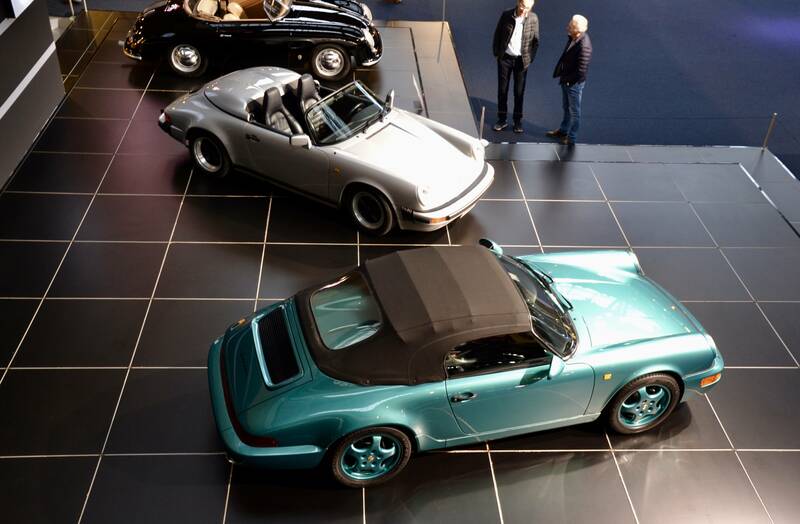 Around the corner, just before stepping up to the mezzanine floor, was this wonderful collection of Speedsters including an ultra-rare small body G series example, a very cool 964 finished in rare Wimbledon Green and a paint-to-sample Basalt Black 997. 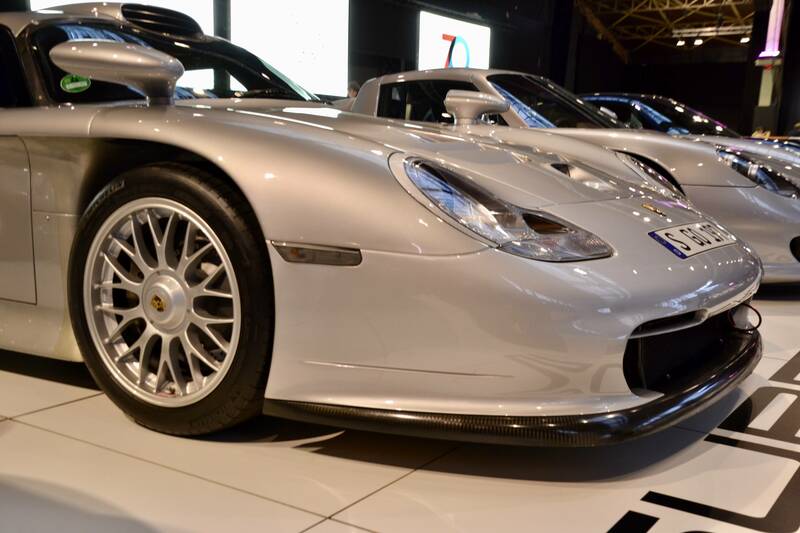 The Speedster line-up is the perfect appetizer for the exhibition's main event on the mezzanine floor, where we are greeted by one of the rarest and perhaps most controversial 911s of all time; the 996 GT1. Peeking from behind the imposing GT1 was a 911 G series Carrera 3.2-litre Clubsport finished in Guards Red. We love ourselves a 3.2-litre CS but they are extremely rare to find, with most cars being aftermarket lookalikes. This example on display however was one hundred percent original and looked absolutely impeccable. 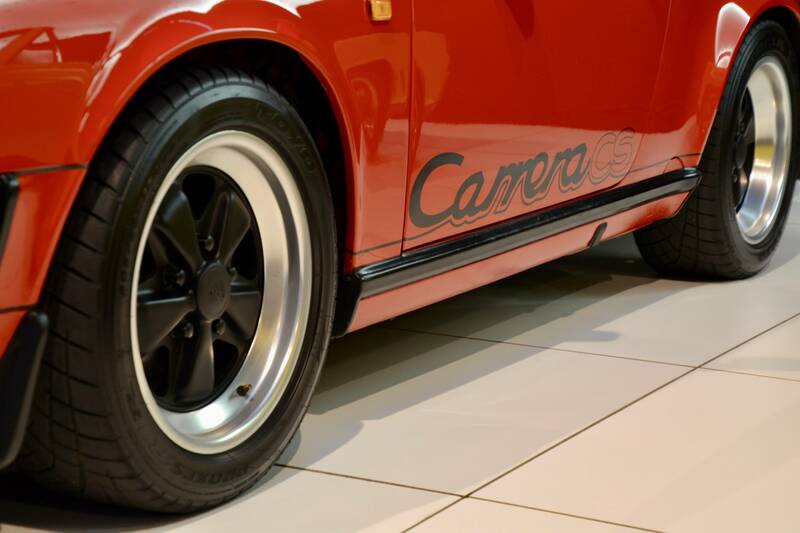 The Carrera Clubsport was introduced for model year 1988 under option code M 637. The Clubsport dropped 50kgs versus a standard Carrera by dropping all non-essentials such as electric windows, central locking, radio, soundproofing and rear seats to name a few. Only 381 cars were built that year, with production totalling at 478 units of which one Targa. This particular car was commissioned by a Porsche board member and today is part of August Porsche Addiction's collection. Across the other side of the mezzanine was a wonderful collection of race cars, among which the all-original 1967 911 R from the collection of 911 Motorsport. This very same car was used by Porsche for its 991 R brochure and promotion video back in 2015. The owner also enjoys a 991 R finished in paint-to-sample Light Ivory to match the original. Further down the race car line-up we encounter a rare 911 G series IROC 3-litre RSR. This full-on racing 911 was one of the first of its kind when it was sold in January 1975 to privateer racers. The car later moved to Canada where it was owned and raced by Ludwig Heimrath, sponsored by German brewery company Henninger, until being replaced by a 934 in 1977. The 934 was a group 4 turbocharged race car that came to replace the RSR as of 1976. 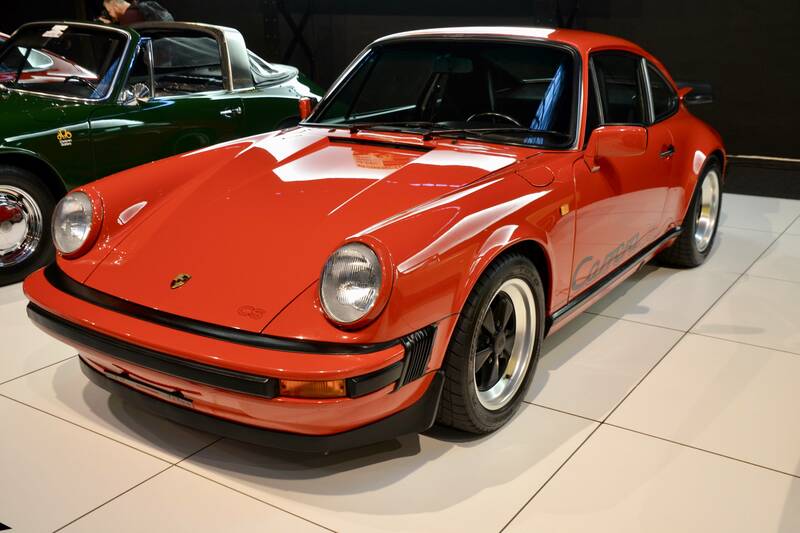 Based on the 930, the 934 was the first Porsche using both air and water cooling. This particular example is one of the few 934s in original condition, as many have been converted to 935s along the way. 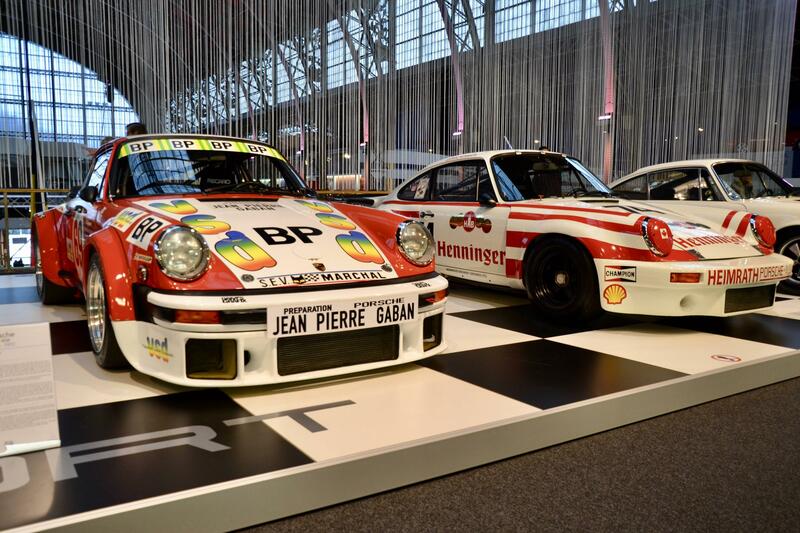 Once raced by Belgian racing legend Jean Blaton, this car now resides in the collection of 911 Motorsport. Across from the line-up of Porsche race cars was a stand dedicated to the 911 Turbo, albeit a bit humble with only two cars on display. 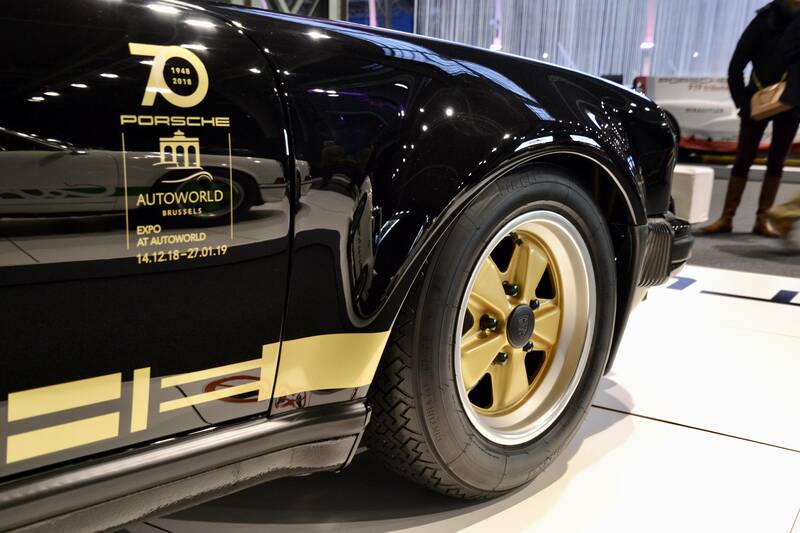 We already had a chance to familiarise ourselves with the black over gold spec 930 at Interclassics Brussels last month. The car is in absolute mint condition with tartan interior and golden Fuchs wheels making it splendid throughout. 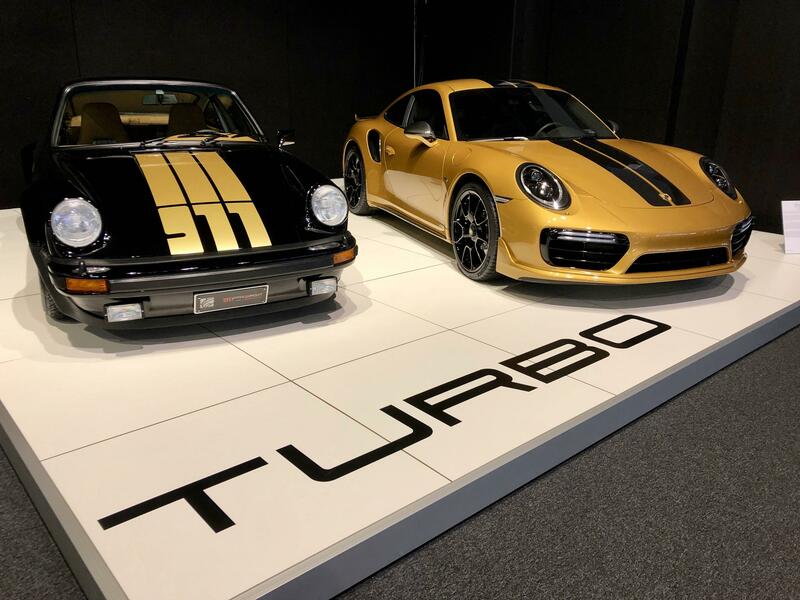 Its analog nature and seventies styling were in stark contrast with that of the latest and most powerful Turbo yet; the 991 Turbo S Exclusive Series. 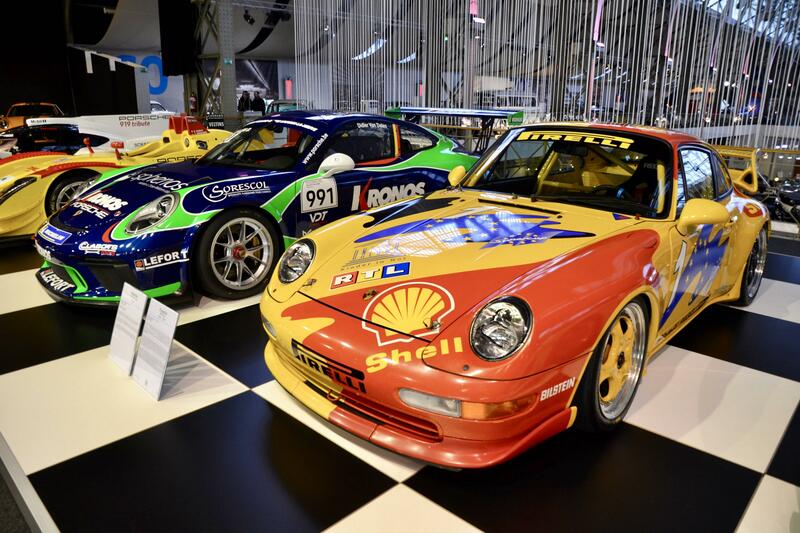 Finally, the absolute showstopper of the exhibition is the line-up of quintessential Rennsport 911s. Starting from the iconic 911 2.7L RS all the way to the latest and greatest 991.2 GT3 RS; this really is the creme of the crop. We had never seen such a comprehensive line-up of RS cars before and perhaps may never will. 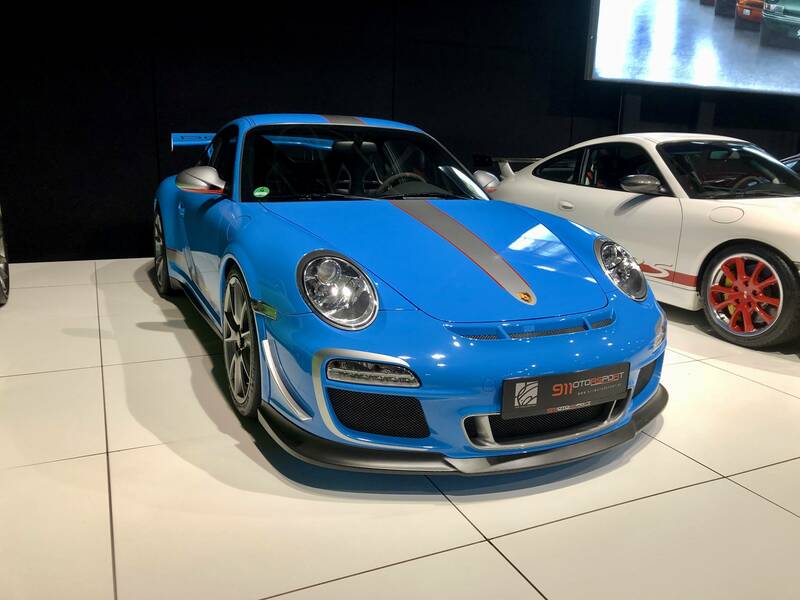 It features a number of truly special editions, starting with the 3-litre G series Carrera RS which we had only seen once before at Techno Classica in 2017. 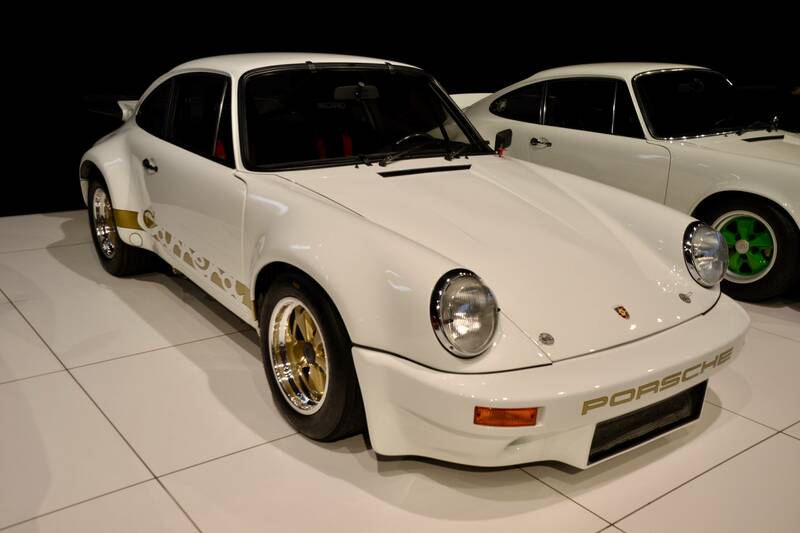 This particular edition was finished in stunning white over gold livery; a truly mesmerising piece of Porsche history. 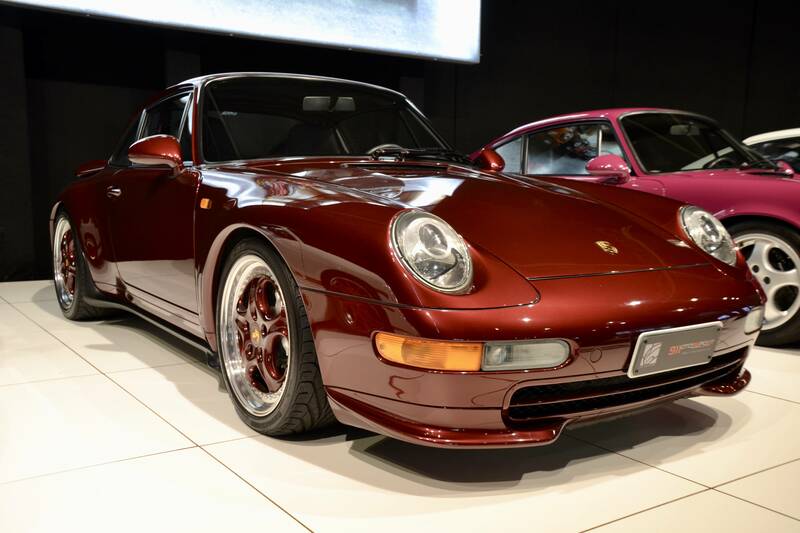 The Rennsport line-up also featured a very unique 993 Carrera RS 'Touring' finished in Arena Red metallic with matching Speedline wheels. 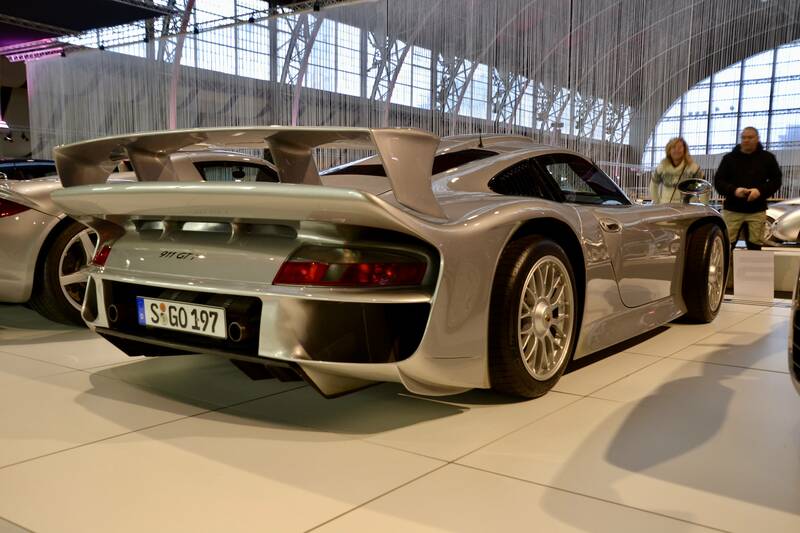 The car was delivered new early 1996 and has only covered 16,000kms throughout its nearly 23-year lifespan. It still resides in the same collection after all those years. A final highlight of the Rennsport line-up was this 997 GT3 RS 4-litre finished in paint-to-sample Riviera Blue. Only 600 cars were built featuring the final iteration of Hans Mezger's iconic and acclaimed flat-six engine. Standard colours included either white or black with dedicated liveries. Only two cars were finished in Riviera Blue.